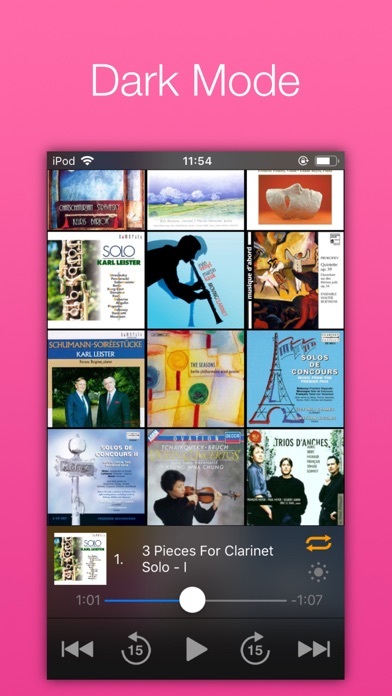 Albumusic is a simple and easy to use music player for album playback. 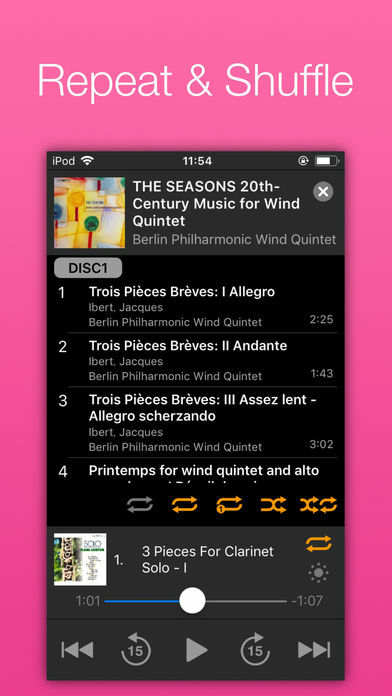 Play music comfortably with an interface optimized for album playback. Detailed information is displayed for each track, so you can quickly find music you want to listen. Title,Composer name,Artist name are displayed for each track. Long titles will be displayed to the end. 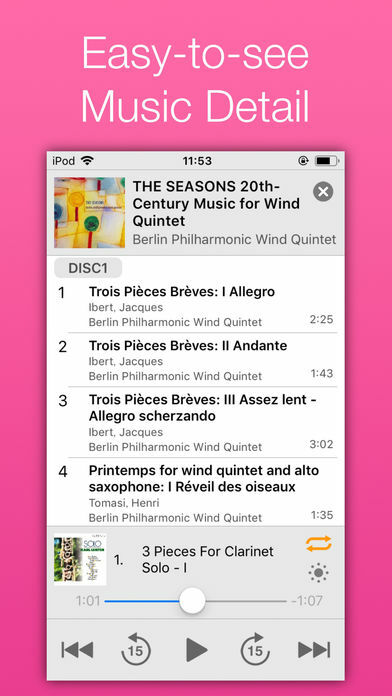 – You can quickly select a song by looking at the work number or the movement number behind the title. – You can smoothly select a song by looking at the composer’s name, even when you do not know who composed the song from the title. – This app is designated for listning to music in iTunes music library. 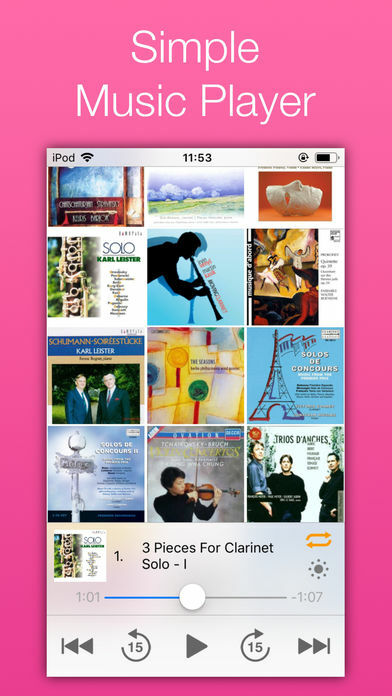 This app play music you got in iTunes, or took in iTunes by CDs. There is no functions for searching or downloading new songs. – Only music downloaded in your device are displayed. 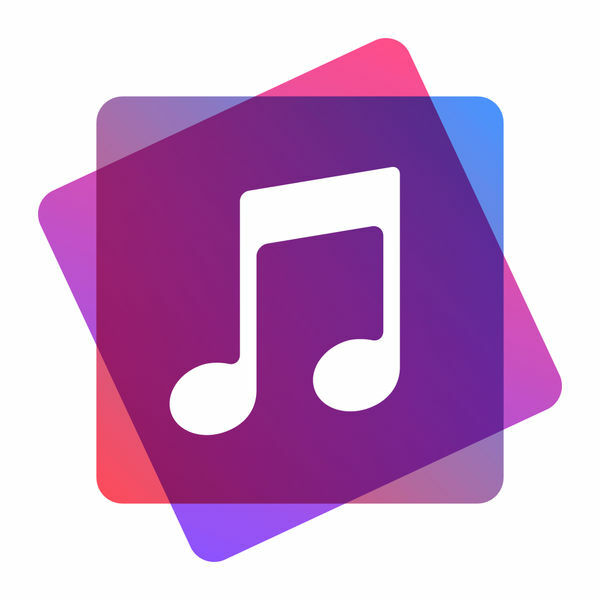 To display music in this app, download in “music” app or sync in iTunes with connecting PC.